Offering M&A, Advisory and Capital Raising services, Edison Partners assists clients to achieve their vision and fulfill their true potential. Edison Partners’ challenge was to develop a new visual presence and brand voice that more accurately reflected their ethos, unique relationship approach towards their clients, and their M&A delivery. Digital Rescue delivered a delicately balanced website that centred around succinct, sharp, short and honest statements that truly define Edison Partners. 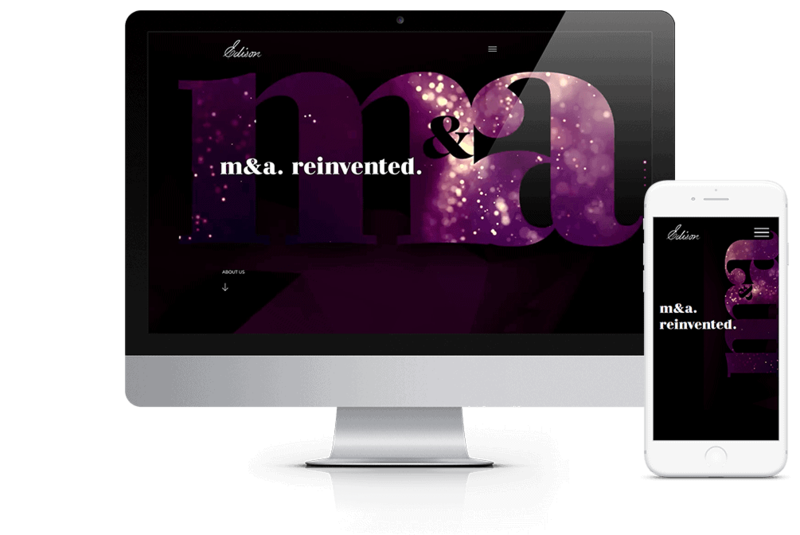 The simplicity of the site was purposeful, allowing the messaging to resonate with their target audience and provide an insight into the Edison approach to M&A consulting. Digital Rescue are a well oiled machine offering insight, strategy, talent and execution.